The SR 510 P100 particulate filter is high efficient filter of mechanical type. It protects against all types of particles (dust, fume, fog, spray, asbestos), even bacteria, viruses and radioactive dust. 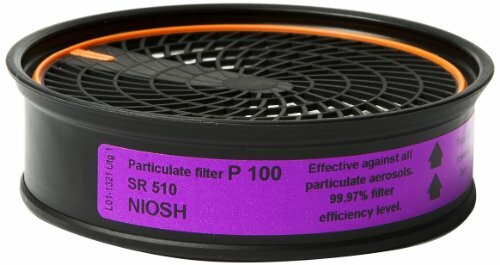 This filter can be used with all Sundstrom Air Purifying Respirators. If you have any questions about this product by Sundström, contact us by completing and submitting the form below. If you are looking for a specif part number, please include it with your message.